Michael Jefferies Injury Lawyers Manchester are a long established (18 years+) no win no fee personal injury solicitors who deal with a wide range of cases including accidents at work, serious injury, road traffic accidents and clinical negligence. Bringing victims of asbestos related diseases and medical negligence together with solicitors who are experts in recovering compensation for such injuries. Mayiclaim's managing solicitor has over 25 years' experience in pursuing claims. No win, no fee available and in some cases no success fee either. A barrister's Chambers specialising in motoring offences and disciplinary law with supporting litigation associates and solicitors. Black Antelope Law offer a number of flexible solutions in order to try and meet their client's needs such as offering telephone and video-conferences, step-free office access, and home visits where necessary. The Claims Bureau are experts in complex financial claims such as mis-sold high-risk investments including off-plan foreign property, carbon credits, and renewable energy schemes. They can also help those who have lost their deposits or been overcharged interest on Spanish properties. All claims are handled on a strictly no win no fee basis. Butterworths Solicitors are a hard-working law firm for hard-working people, families, and businesses across the north - and beyond. 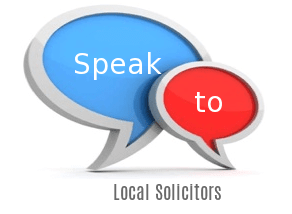 A solicitors with a tailor made service to suit each and every client. APS is one of the largest estate planning companies in the UK. They offer Will writing and Power of Attorney specialist services direct to public. A nationwide company serving you locally through their 500+ qualified associates. Castleton & Co promise to deliver excellent client care and legal services, aspiring to be a leading law firm accessible to all. They value their roots and believe all individuals, regardless of background, should have easy access to Justice. They offer practical, innovative, tailored advice, and embrace change to ensure services never fall below expectations. Their modern approach, and unique skill set, enables them to build and maintain good relationships with their clients. "A Tradition of Talent. A Generation of Knowledge." A professional and friendly law firm specialising in Personal Injury, Holiday Sickness and Medical Negligence. They can also help with Cavity Wall & Disrepair claims. Absolute Law strongly believe that every client deserves the best medical treatment and rehabilitation services. The service is tailored to suit you and they promise to keep you updated every step of the way - from first contact to final negotiation and settlement. They handle: Wills and Probate, Residential Property, Related Services, Power of Attorney, Landlord/Tenant Dispute, Divorce, Debt Recovery, Debt / Bankruptcy, Conveyancing, Commercial Property. They strive to be a full service law firm serving their clients across England and Wales in areas of Civil Litigation, Family Law, Criminal Injuries, Personal Injury, Professional Negligence, Human Rights, residential Landlord & Tenant, Immigration & Nationality and much more. Based in the heart of London's legal district and close to the Central Family Court, Allard Bailey are a boutique family law practice with experienced, realistic lawyers focused on achieving the best results for their clients. They use modern technology to deliver a truly flexible service to meet their client's needs whilst keeping costs down. Based in South Manchester, UKIL is an internationally recognised law firm with a wealth of experience to help both individuals and businesses. Their team of highly trained yet friendly professionals pride themselves in providing practical and cost effective solutions. This law firm is no longer active. A national firm of solicitors providing a range of specialist legal services to professionals, businesses and individuals throughout England and Wales.